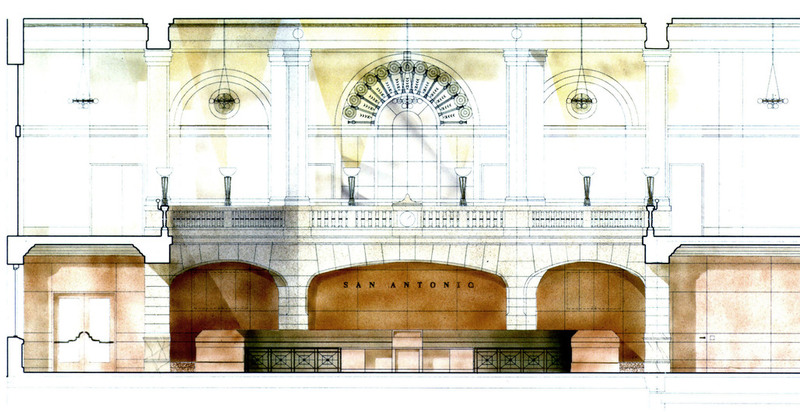 The historic Municipal Plaza Building is located in downtown San Antonio on Main Plaza. 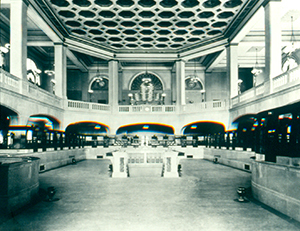 The 1920s vintage 12-story building contains a grand 2-story space on its ground floor which originally served as a banking hall but more recently had been converted into a cafeteria. 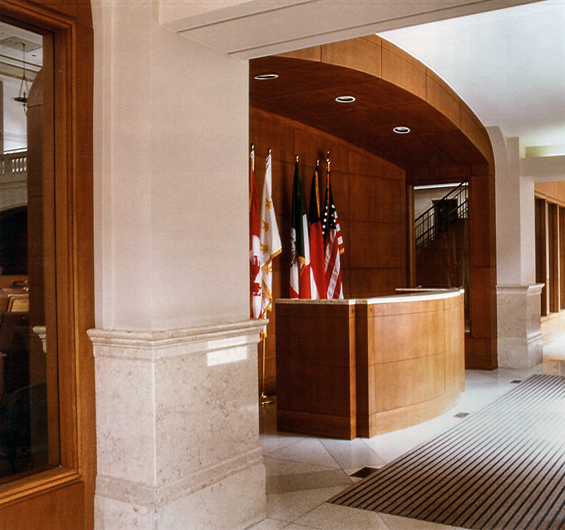 The city purchased the building in the 1990s and commissioned the renovation of the space for new City Council Chambers. 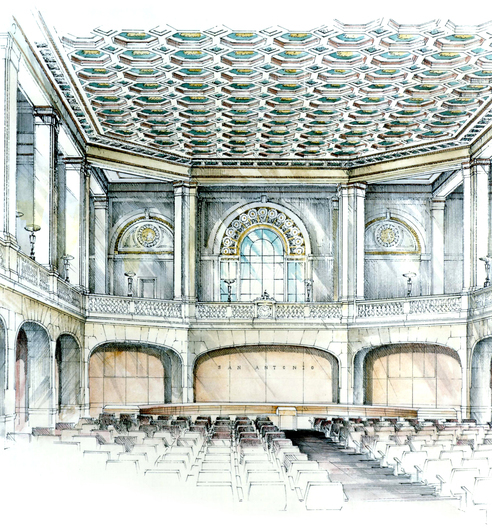 While much of the original finishes had been damaged or were in disrepair, the neo-classical style room still retained much of its original finish: cut stone and marble walls, ornate plaster work, and elegant torchiere light fixtures. 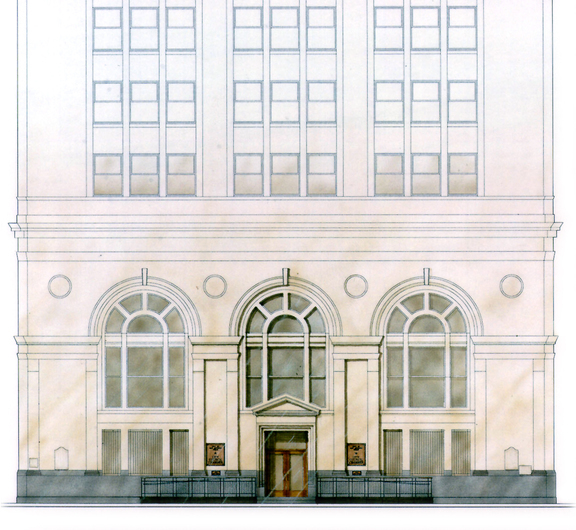 The design concept for adaptive re-use centers on restoration/preservation of the historic elements while integrating contemporary components necessary for the new function.New design elements are carefully coordinated with the scale, proportion, and character of the existing. 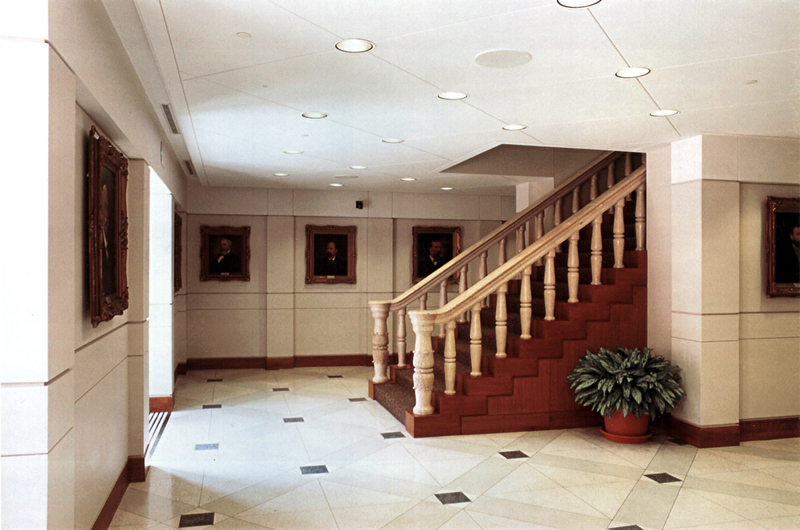 Two new entry lobbies lead to the main chamber and feature additional materials salvaged from the original building. 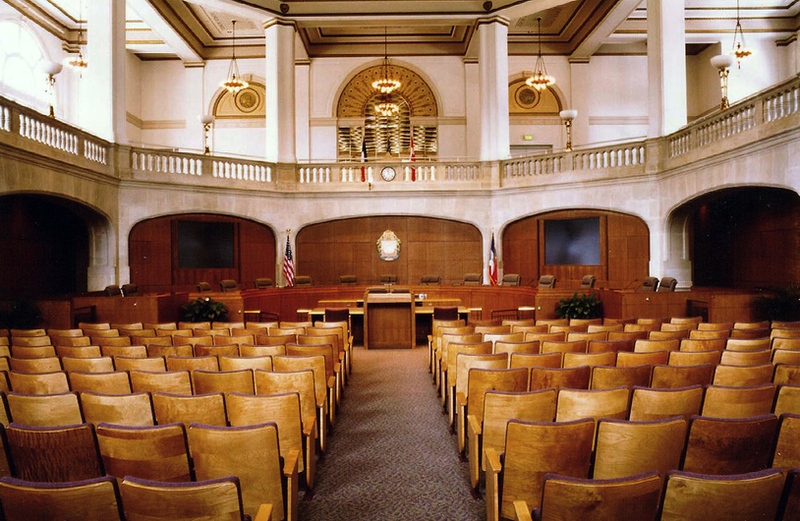 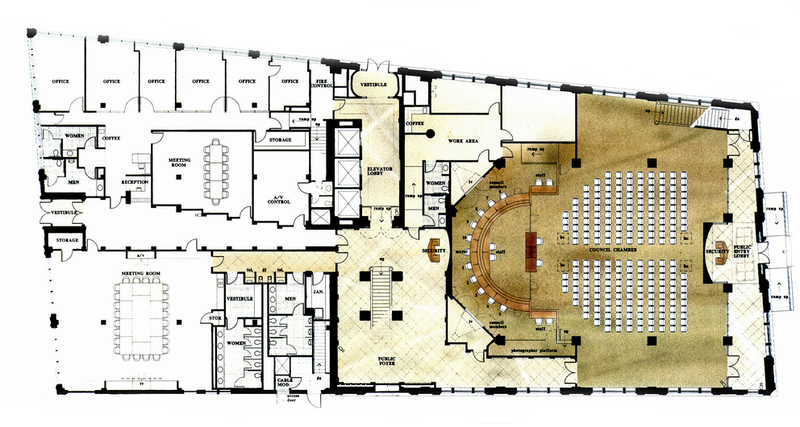 The design also integrates an audio-visual system which accommodates live TV broadcasting and sophisticated in-house presentations, providing San Antonio with a state-of-the-art public meeting facility for the 21st century.